69db has been improvising on liveset since 1991 . Over the 20 years he's worked all over the world in raves of all kinds from free to commercial. 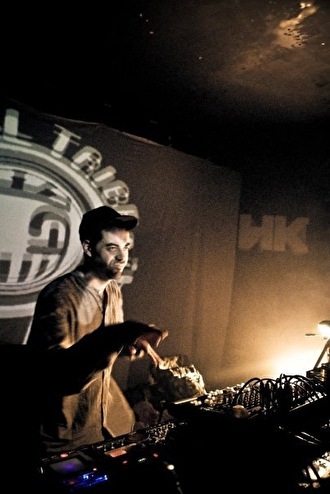 The journey began on London's underground Soundsystem's in the early 90's then progressed to manland Europe where he's been playing out all over since.69db has worked on many labels such as Trax records chicago, Labworks, Force inc.,Acid orange, Spiral Tribe Records, Network 23 records , Drop Bass records, Rabbit City ......... More recently much of 69db's output can be found on Expressillon the Paris based label www.expressillon.com who's networkshop.com deal with records etc. On the net these days the most up to date stuff is to be found on www.creationforge.com and can be heard on radio.full-vibes.com . Also many mixes are to be found on www.mixcloud.com/tag/69db/. The music has always been the number one reason for all these years of raving so check it out it says more than I can!! !